The heavyweight champion among ballpoint pens. 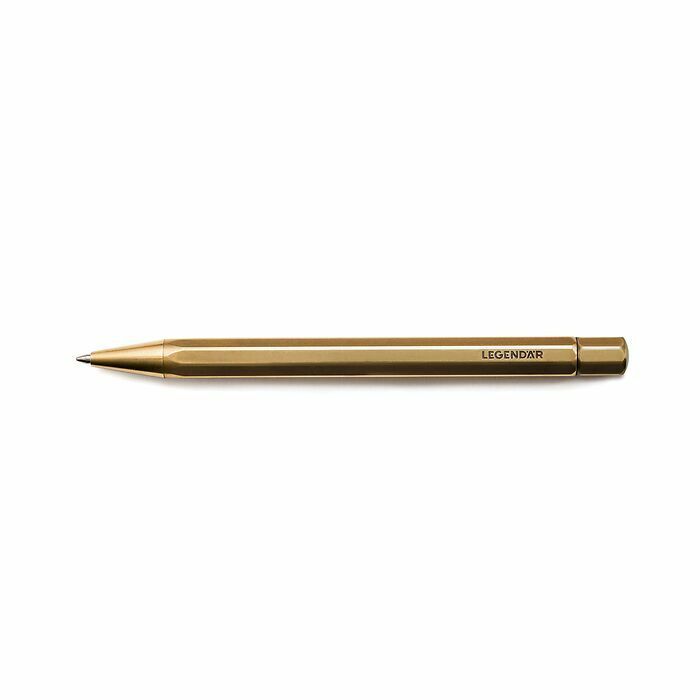 This sturdy 35 gram ballpoint pen is milled from a single piece of solid brass using CNC technology. The polished surface features a temporary non-tarnishing finish. The finish gradually disappears after a few days of use, but can also be buffed away with a soft cloth. Includes one Schmidt Jumbo Refill P900 M in black. The pen is compatible for use with all Schmidt P900 refills or with refills for the Parker G2. The refill is extended with the simple spring-loaded twist mechanism. Replacement of the Schmidt Jumbo Refill P900 is done by unscrewing the grooved cap at the top of the pen.